Dr. John Bell won the inaugural European Society for Gene and Cell Therapy Public and Patient Engagement Award. According to the judges, Dr. Bell stood out for setting an inspiring and impactful standard in patient engagement in research, mainly through his work as Scientific Director of BioCanRx. 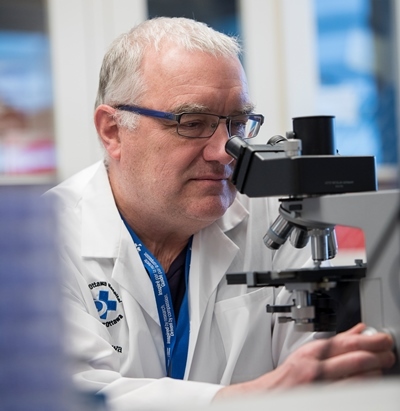 For example, BioCanRx’s annual Learning Institute (held as part of the Summit for Cancer Immunotherapy) establishes connections between the research community, cancer patients, charities and NGOs. The goal is to allow researchers and patient partners to become familiar with multiple viewpoints on the research process. It also provides an opportunity to foster potential researcher-patient collaborations going forward. In addition, the event gives participants access to the latest developments in the rapidly moving field of immune oncology to share with their respective communities. See details from BioCanRx. All research at The Ottawa Hospital is supported by generous donations to the hospital.